Along with our classic apple juice, we have blended some of our other favorite fruits into the mix! We make apple interesting with our varieties extending from Apple Cherry to Apple Passion Mango -- there's something for everyone. Our light and refreshing juice cocktails can be served anytime, anywhere. 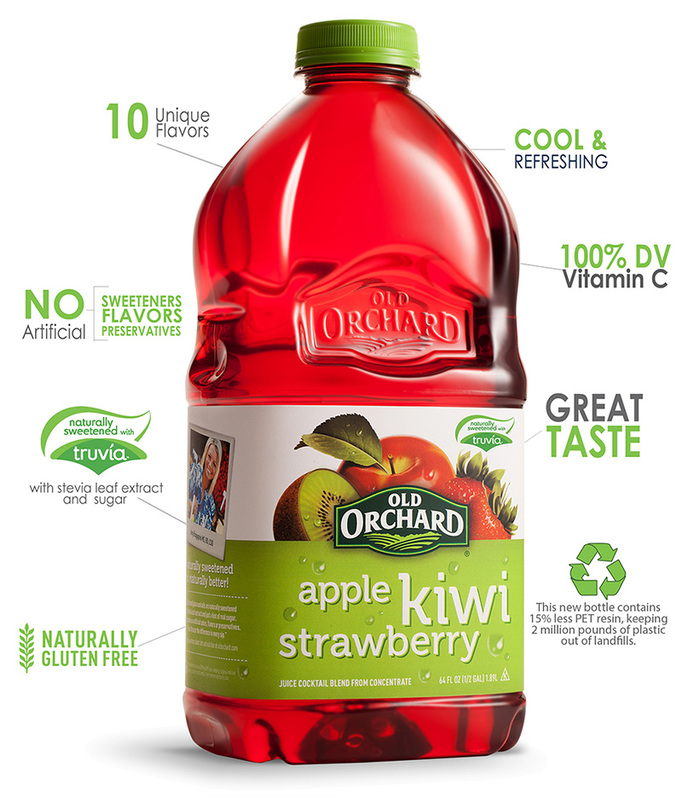 With just 90 calories per serving, Old Orchard juice cocktails are a great choice for your family. No HFCS and no artificial colors flavors or preservatives. Old Orchard juice cocktails contain real fruit juice, 100% of your daily recommended value of Vitamin C, and are sweetened with a blend of sugar and Truvia stevia leaf sweetener. Our Juice cocktails are also a great trick to add a little extra flavor to a dull recipe. View some of our delicious recipes on our Recipe Page. What makes Old Orchard Juice Cocktails different than any other juice cocktails? Taste the difference for yourself -- try our Juice Cocktails today! For our full list of flavors, click here.